But since my friend ‘…really, REALLY want nasi lemak (sic)…‘ (to quote her) and I’ve not met her for a long time, I gave in… We met at Mamak Malaysian Cuisine in Chatswood, a suburb in North Sydney. I couldn’t find anything lesser in carbs (or sugar) content, so I settled for a half dozen beef satays. 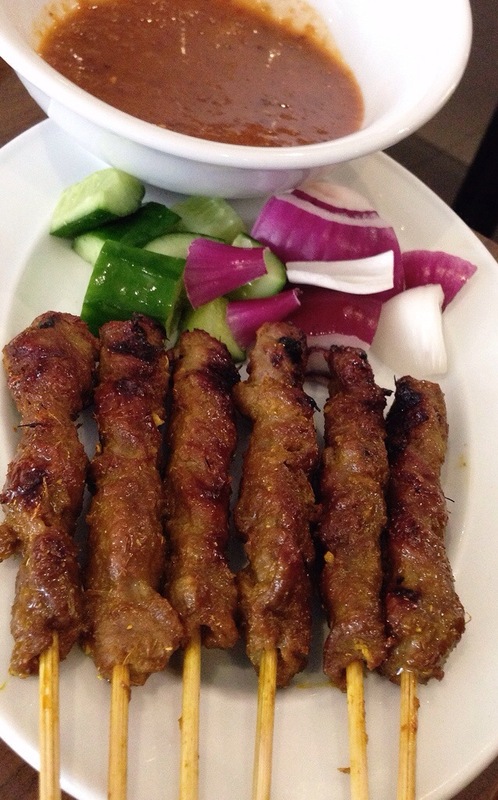 Beef Satay (A$9 for half-dozen or A$16 for a dozen). This entry was posted in Australia, Ethnic Dining, Sydney and tagged Mamak Malaysian Cuisine Chatswood. Bookmark the permalink.